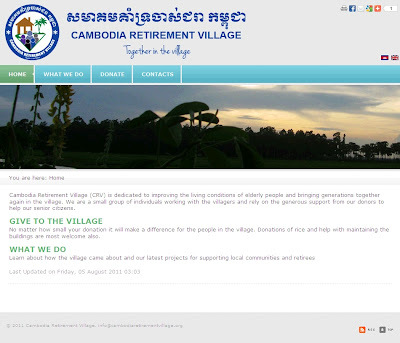 On August 4, we launched the Cambodia Retirement Village (CRV) website at www.cambodiaretirementvillage.org in English, and a Khmer version will be added in the next few days also. As mentioned ealier, Cambodia Retirement Village is a project with the objective to give support to the elderly people and provide accommodation, food, basic medical care, and serve as a role model to all people in the society to cultivate the sense of sharing and supporting. 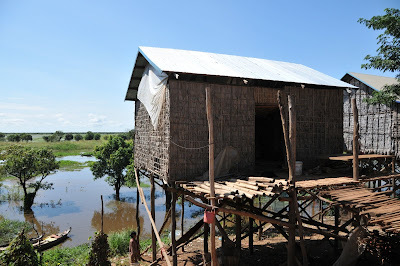 On June 18, 2011 the first retirement home was opened in Cham Bak Village, Chong Ampil Commune, Kagn Chhreach, Prey Veng Province, giving a new home to five villagers, with facilities for up to 24 residents. Following the motto ”Together in the Village”, the project also aims at bringing generations together again through sustainable community farming initiatives and educational resources for the children, as many young people have fled the villages to look for employment opportunities in the cities and abroad. The project relies on the generous support from donors to finance the facilities and to supply food to the grandmas and grandpas living in the village. The website we launched today is still in its infancy, and more content and features will be added over time, including the ability to give online. Thank you very much to Pooranee, Chanthorn, Milton and Vuthy for helping with this effort as part of my #ibmcsc Corporate Service Corps assignment and putting in extra hours on the weekend to make it happen. The new website will serve to inform people in Cambodia and abroad about the development of this project, and to solicit further support from donors and volunteers to help the senior citizens of Cambodia. Please contact Mr. Kim Vuthy at the address provided on the Website for further information and to make contributions. 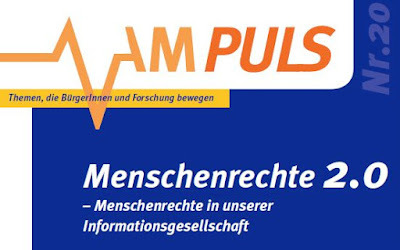 Update: The Website appears to have been taken offline in 2014. 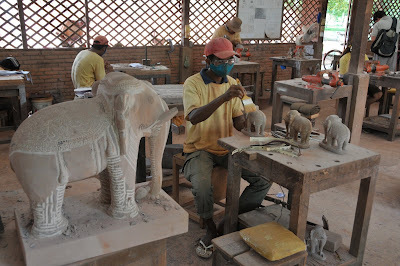 Please see the Cambodia Retirement Village Facebook group for information about the project. 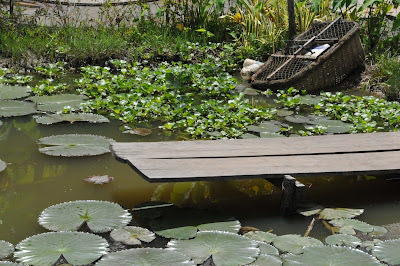 A “world away from the Cambodia of the countryside” calls the Lonely Planet Phnom Penh and Siem Reap. 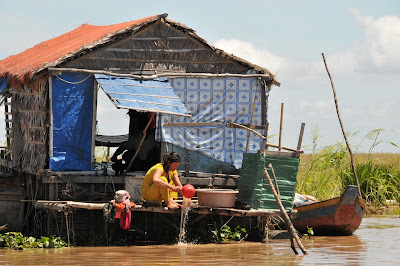 On Sunday we set about visiting the other part of Cambodia, the people living outside of the main cities in the floating village Kompong Khleang on Tonlé Sap Lake. 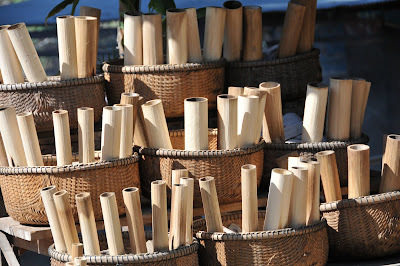 On the way there another food specialty was ready for tasting, bamboo sticks filled with sticky rice, beans and coconuts, grilled over open fire. Lecker! July is when rainy season usually starts, and we #ibmcsc had come to Cambodia prepared for constant heavy rain and occasional flooding, even brought rain coats and umbrellas as advised. Rain hasn’t started pouring down heavily yet so we have been really lucky, and weather conditions have been fine throughout our stay including the weekends out. Driving through the town on a dust-dry mud road, one can hardly imagine that this will be completely flooded in a just a few weeks. 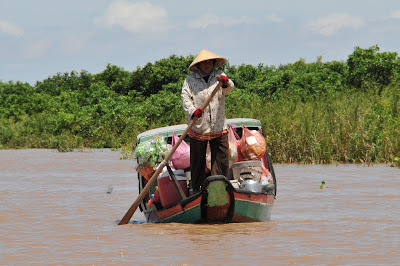 Tonlé Sap Lake serves as a reservoir for the massive amount of water from the Mekong river. For most of the year the Tonlé Sap river drains into the Mekong river in Phnom Penh. During the monsoon, it reverses its flow and pushes water up. The stilts on which the houses are built will serve a purpose, there won’t be any roads, and trees, bushes, everything that is than three or four meters high will be covered with water, a gigantic lake expanding from 2,700 km² to 16,000 km². 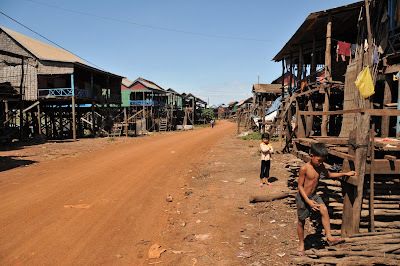 Kompong Khleang is not a popular touristic destination. With mostly open houses in town that provide little privacy, we felt a bit uncomfortable about being intruders in this place of tranquility. When we hopped off the van and went for a walk through the town, however, the villagers greeted us with a smile, the children came by asking for our names and gladly accepted the jelly we had brought, an old man proudly waved with his catch and invited us to closer. Few people come here, and probably rarely such as diverse group from all around the world, so our appearance was probably as special as the experience was for us. The biggest challenge remained communication: In the cities we got around with English pretty well, but here some Khmer language skills would have been helpful to have a meaningful conversation beyond saying “Hello” and “Thank you”. The village on stilts was already quite impressive, but nowhere near the experience of seeing how people live and work in and around the floating village. The small straw huts offer only basic protection and little more comfort than a battery powered television set. 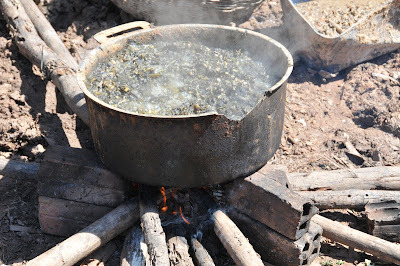 We saw people doing their laundry, washing their dishes, preparing meals over open fire and taking a bath, all in the same brownish Tonlé Sap Lake. We passed the school ship, the local grocery and hardware store and the hairdresser, watched fishermen slowly moving their rowboats through the reeds and young kids maneuvering motor boats with ease. 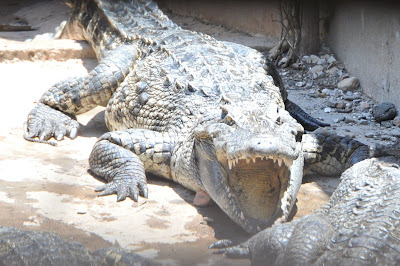 Back in the village we briefly stopped at a crocodile “farm”, one of the few buildings with stone walls, covered with a few wooden planks that didn’t look highly trustworthy as the “viewing area”. In the afternoon we practiced our bargaining skills at Siem Reap’s old market – I got some spices for Fish Amok, now just need to find a supplier for banana leaves in Vienna – and visited Artisans d’Angkor, an independent company that spun off Chantiers-Écoles de formation professionnelle, a professional training school, and now employs over 1,000 artisans producing crafts with various techniques including silk weaving and painting, lacquering and gilding, and wood and stone carving. Visitors are most welcome to the factories and offered free guided tours. The temple visits in Angkor, where children were desperately trying to sell their goods to tourists, and the tour to the floating village triggered discussions in the evening about poverty tourism, paying poor areas a short visit before hopping back into an air-conditioned vehicle and leaving the place. What is an appropriate way to learn about the living conditions and be able to share the information with others as we return home? Living with a family for some time would be a much better way to gain the experience than a one day trip, but does that mean you shouldn’t visit at all if you cannot stay for long? 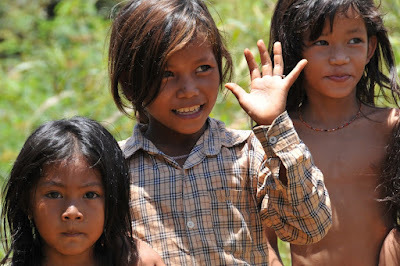 What is the right way to help these children, who tearfully claim they need the income so they attend school? There is little doubt that their making money from selling goods on the street will only lower their chances of getting education since their income may actually feed their needy family, but isn’t that a commendable goal and would it wrong to buy something from them? In Cambodia, with a history of war that damaged buildings, factories, machines and social ties alike, where today volunteers and staff from various non-government and non-profit organizations around the world work on programs to improve education and healthcare, help restoring infrastructure and train tour operators in sustainable tourism and energy conservation, this discussion is necessary, even though there may not be a simple answer. 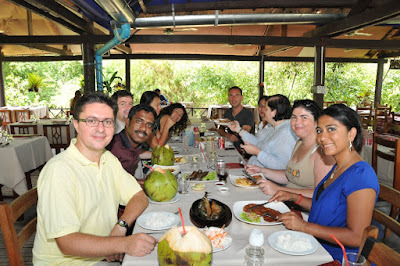 For a comprehensive and balanced summary of pros and cons see the compilation post about the poverty tourism debate. 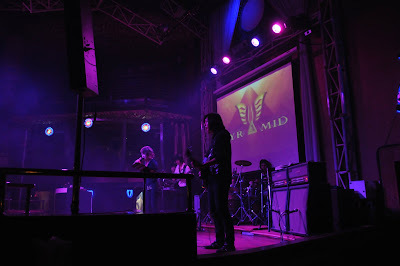 Discussing politics and social welfare only came to an end when we dived into Seam Reap’s nightlife at the Pyramide, a modern disco with international beats and the occasional interlude of Khmer music.